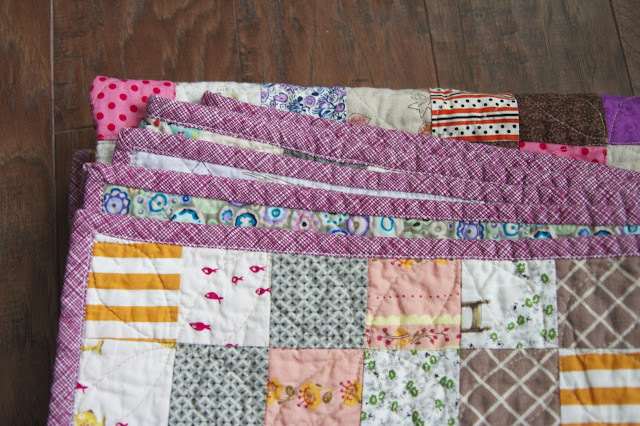 a quilt is nice: scrappy trip finished! 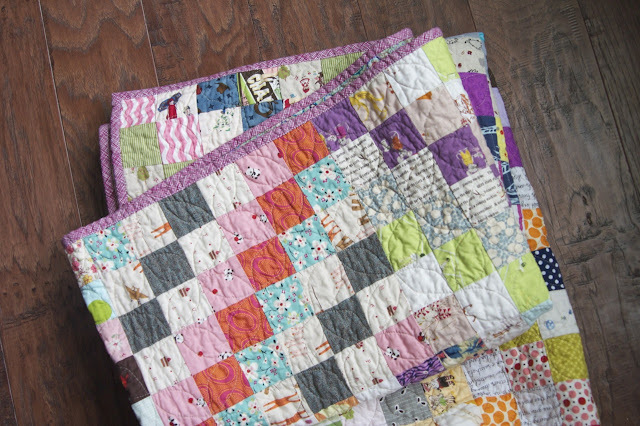 I've already said a lot about it here, but I have to say it again--this quilt was so fun to make and I really mean that. I enjoyed every minute of the piecing process. I decided on a zigzag layout because I love zigzags, and it was different from the traditional diamond layouts. But I don't think you can go wrong on this one. I want to make another one now and make diamonds. 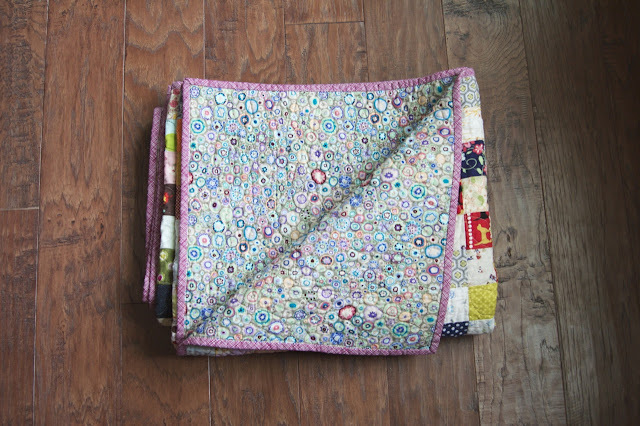 and I quilted in a dogwood pattern, which was my first time, and I love it. It's definitely not perfect, but you really cannot tell. I'll be visiting that quilting pattern again soon. Its really cute, you have adorable fabrics and I love the purple binding. That is my favourite Kaffe print too. Adore it. 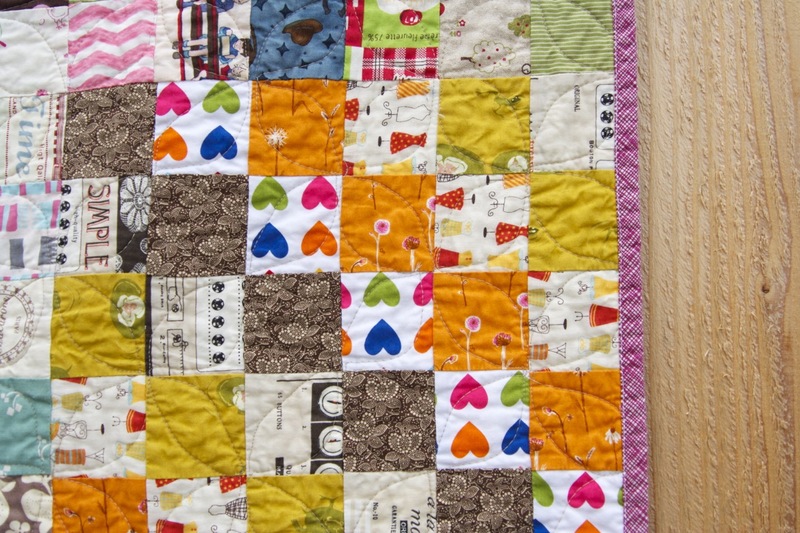 beautiful, love your layout and the quilting. Love your quilting! I hope to be tht adventurous someday. I still have to bind my scrappy trip - it's on my to do list! It's beautiful. I love your fabrics. Your zig zag layout is great! And the backing and binding are the perfect match ! It is beautiful. I love the layout that you chose and the fabric for the backing is so pretty. 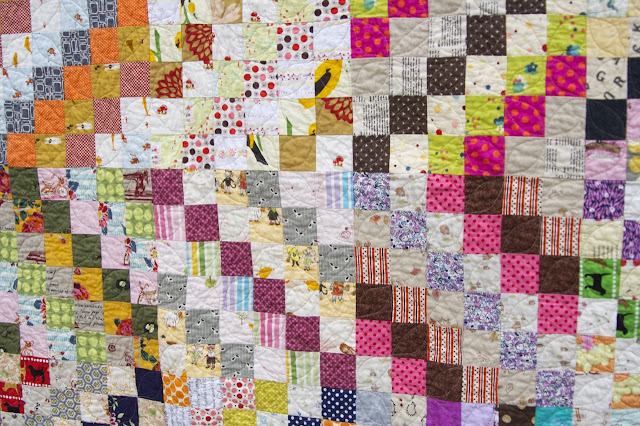 I love your quilt, and the zig zag layout is great. Love the direction you place the blocks. It looks amazing. Your quilt is beautiful! The colors you chose, the zig zag pattern and the binding make it so interesting to look at! It's awesome!! Congrats on a great finish!!! Hi nettie! I love your scrappy trip!!! I'm going to do one in diamonds, and I love the dogwood fmqing design. We had those in our front yard in Maryland growing up. We need to come see you, Marilyn and I . . . field trip. Well done, Nettie!. Definitely our favorite setting of Scrappy Trip. And by the way, we miss you! Ooh, I love this quilt soooo much! 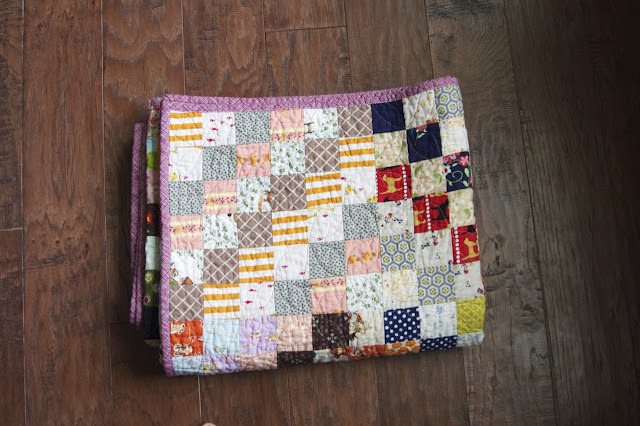 I really am inspired to pull out my scraps and do a similar one. 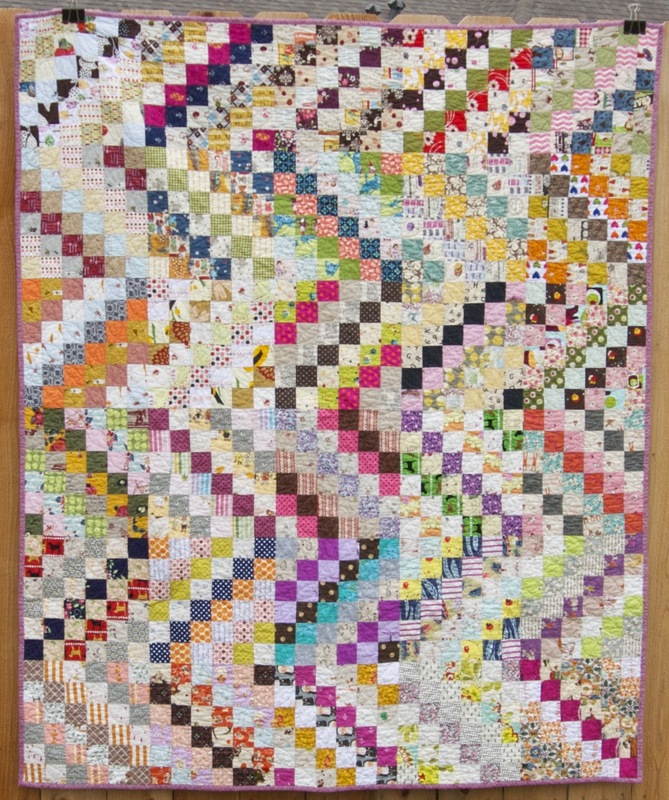 This is so pretty, thanks for sharing :) Recently, I very efficiently (not like me...) sorted all my 'scraps' into vague colour piles, so this would be a great quilt for me to do next. Congrats! Maya. I love your version! I'm a little slow in finishing mine. :/ Just linked this post on my blog cause I liked yours so much.